Whether you are selling your property or interested in having your family become a part of a wonderful community, land to start that new business adventure, or a rewarding investment opportunity with the perks of sweet country living… Bill Johnson and Associates Real Estate Company will assist you in finding that special place to call home or that special buyer who falls in love with your property. 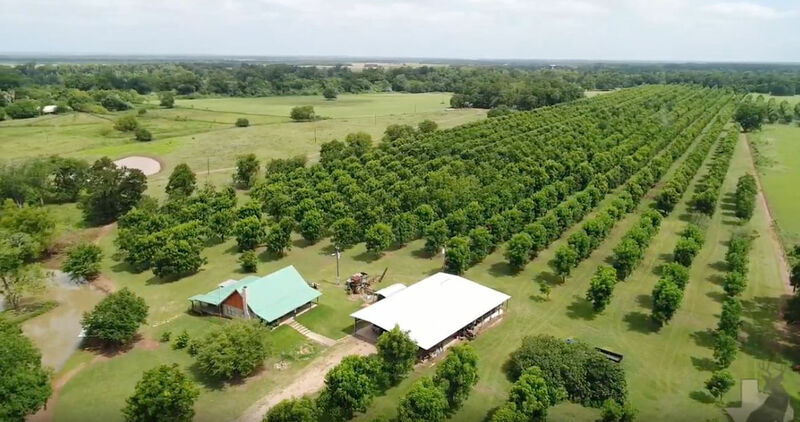 Our company is incredibly knowledgeable of the farm and ranch, residential, commercial, and investment sales in Austin, Washington, Colorado, Waller, Lee, Grimes, and Fayette Counties. Our professionals are also very willing to branch out into other favorable areas of interest. Not only dedicated to our work here, many of us have firsthand experience of country living and call Austin County home. Property Description: This unique, one-of-a-kind property features 66.001 acres, a main home with approximately 4044 sq. ft. of living area, a guest home boasting three bedrooms and two baths, pool/hot tub/waterfall, and horse barn in a prime location in Austin County between Cat Spring and New Ulm. This property with great improvements and enjoyable features, is a relaxing, scenic 60-minute drive from Houston. 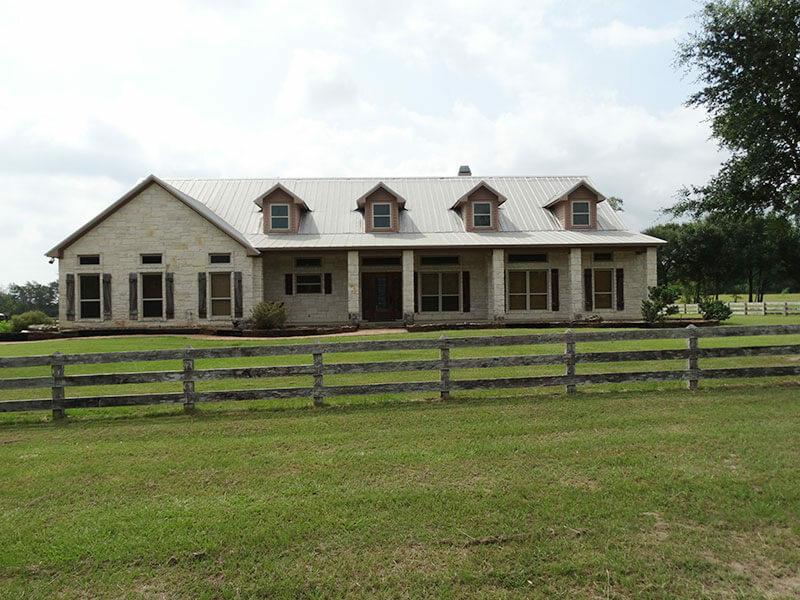 Property Description: Entering the gated “Big Dog Ranch” you will find nestled in the heart of 43.104 acres a stunning, Austin Stone, 4 bedroom and 3.5 bath home. Relaxing in the cozy living room or entertaining guests in the state-of-the-art kitchen are options to consider. Enjoy the beautiful, Texas sunsets from the covered back porch as you view one of three ponds surrounded by mature cypress trees. A 1,500 sq. ft. metal barn and a smaller foot shed are perfect for extra storage. Enjoy life and the serenity of this retreat. 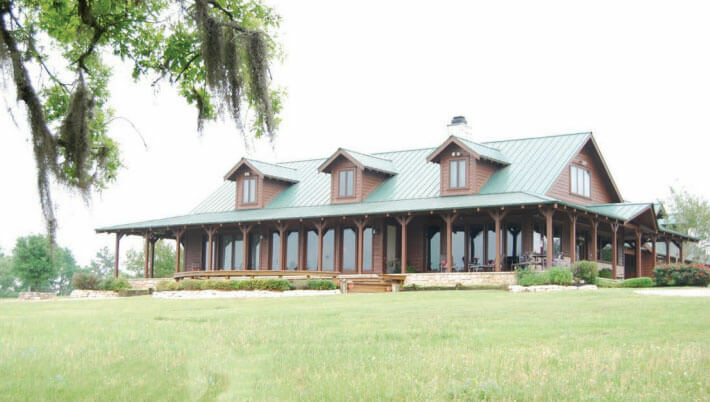 Property Description: This gorgeous 4 bedroom/2.5 bath, custom home sits on 20.4 acres of Ag exempt rolling hills with 2 ponds and fenced pastures. 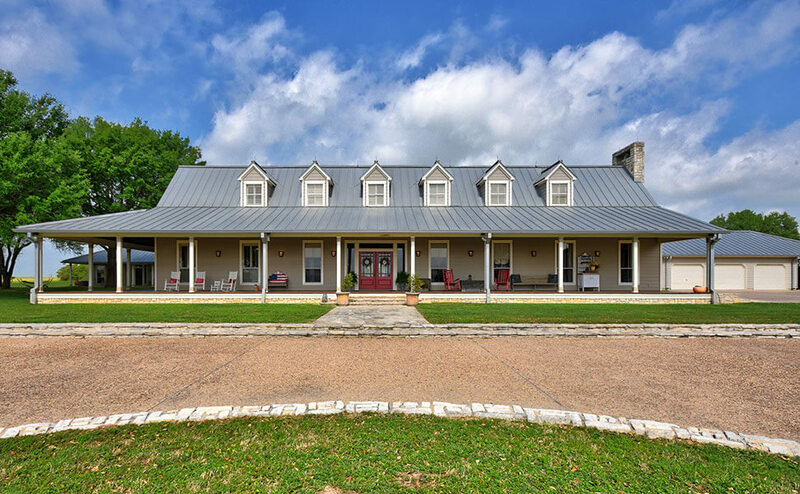 The property sits an easy 45 minutes from Katy and just miles away from Round Top and Brenham! The home stands out with the many extras it offers such as the 10-12-foot ceilings, hand-scraped wood floors and tile, hammered copper sinks, and more. 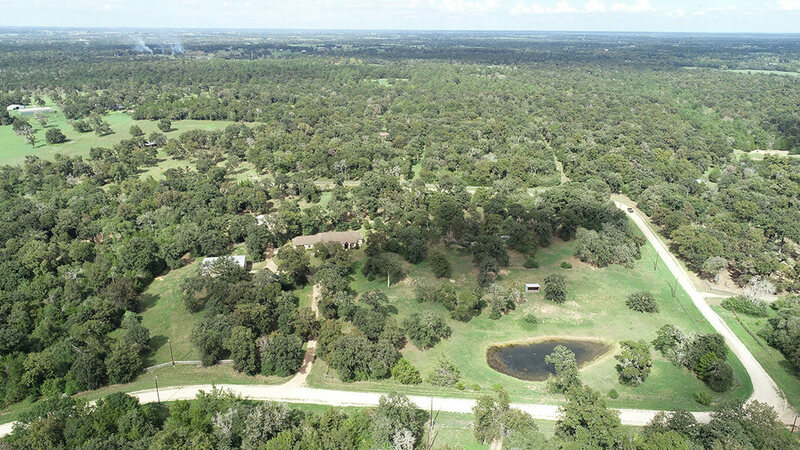 The property features a 40×60 metal building and 20×25 metal building, 2 water wells, irrigated pastures with improved Bermuda grass maintained under the supervision of the USDA. This one would be a great place to call home. Property Description:This magnificent, one of a kind Ranch is composed of 430 gently rolling acres of land with breath-taking views, a two-story stone Main Ranch Home, a Trophy Room (a separate structure), a Karaoke*Media Room (a separate structure) and a Historical Home of concrete and stucco construction built around 1825, as well as living quarters for ranch hands, etc. This ranch property is move-in ready and is located in Austin County, a relaxing 50-minute westward drive from Houston. Property Description: Custom home built in 1996 and sits on the highest hill on the ranch offering beautiful panoramic views. The home overlooks a One-acre pond in the front and a Three-acre lake in the back of the property. 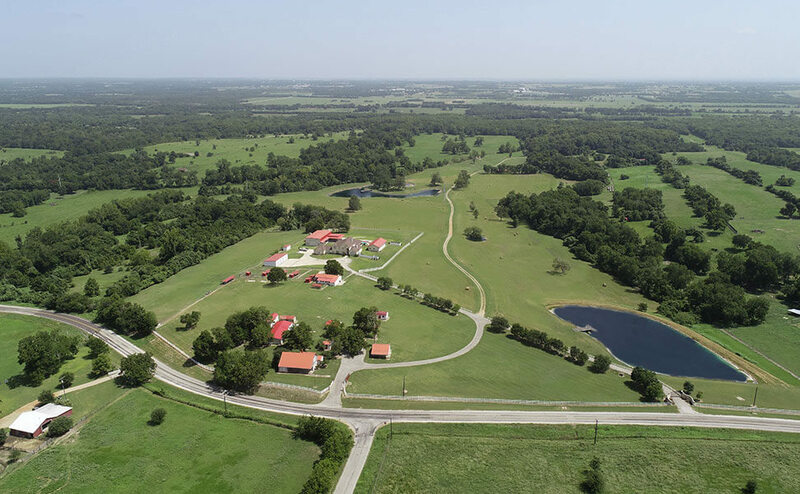 Property Description: This premier ranch is located north of Bellville off Hwy 159 E on Wietstruck Road in Austin County, an easy one-hour commute to Houston and one and one-half hours to Austin. 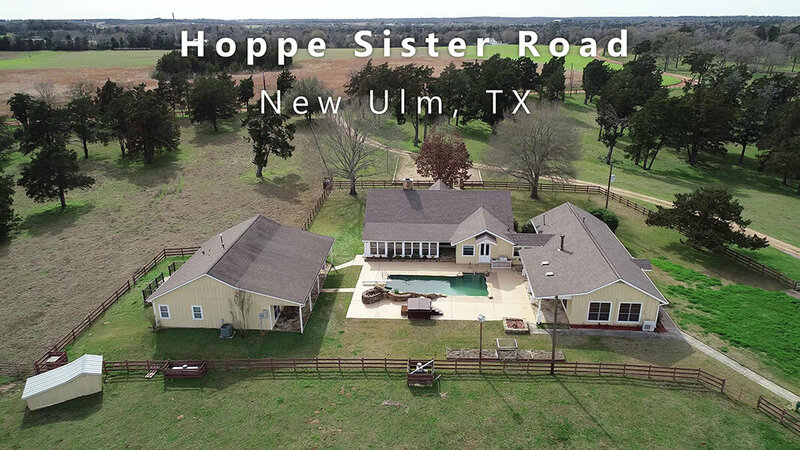 Featuring a 4,300+ square foot classic Texas-style main home, a guest home, and a 40’ x 85’ horse barn, equipment and hay barns, four stocked ponds, three water wells, native and improved grasses on 130+ gently rolling acres.